Last week, I blogged some thoughts from DLA Piper’s Nick Morgan about the SEC’s first whistleblower retaliation case, including whether the SEC had the statutory authority to bring this case against Paradigm Capital Management. In this FEI blog, Sean McKessy, Chief of the SEC’s Whistleblower Office comments on the case, including responding to Nick’s comments. We’ve been posting memos on the case in our “Whistleblowers” Practice Area. – Campaigning to Be the Company’s Director Nominee: A New Trend? Modern Day Roadshows? The GoPro One is Groovy! Check out the GoPro roadshow on RetailRoadshow.com (the IPO priced on Wednesday night so it might be pulled down soon). Pretty remarkable, just like all their videos if you are familar with GoPro. 36 minutes of video and more. Nice memories for me as I worked on some of the no-action letters in the ’90s that allowed roadshows to be brought into the online age. Hat tip to WilmerHale’s David Westenberg for pointing it out! Wrapping up a project that Randi Morrison & Broc Romanek feverishly commenced two years ago, we are happy to say the inaugural 2014 Edition of Morrison & Romanek’s “The Corporate Governance Treatise” is done being printed (and the 1st printing already sold out – a second printing is now being done!). Here’s the “Table of Contents” listing the topics so you can get a sense of the Treatise’s practical nature. You will want to order now that it’s done being printed. With over 900 pages — including 212 checklists — this tome is the definition of being practical. You can return it any time within the first year and get a full refund if you don’t find it of value. Recently, the SEC proposed changes to how FOIA request work to allow the Commission to collect fees that reflect its actual costs and add an appeals time frame. The current rates for FOIA request rates are $16/hour for grade 11 and below and $28/hour for grade 12 and above. The proposal would provide more flexibility for the SEC – a chart would be posted on the SEC’s site, but the guideline is the Staffer’s basic pay plus 16%. If the proposed hike was in effect today, the fees would be: SK-8 or below: $29/hour; SK-9 to 13: $61/hour; and SK-14 or above: $89/hour. I spoke animatedly, my words pouring forth ever more quickly as I sought to provide my parents with yet another detail about corporate governance in the United States. We had long finished our breakfasts – down to the post-breakfast chips my dad always looks to as soon as he finishes his meal. We sat, as we always had, tucked around one end of the table. They listened to me with looks of concentration – whether interested in the subject matter or surprised at my apparent excitement about it, I was unsure. The California kitchen table at my parents’ is far from the New York apartment my husband and I share. Over the last decade of law school and work, we had become accustomed to visiting California twice a year, each time in and out of our respective homes to visit friends. 2013 was different as, in March, my dad was diagnosed with an aggressive form of brain cancer. The world shifted. My trips quickly became more frequent. The corporate governance chatter was a reflection of a project that Cleary Gottlieb, my law firm, had given me to accommodate my increased travel. The project was to work with a group from Cleary and The Conference Board to write a White Paper about the history of engagement between shareholders and corporations in the United States. I felt relieved to have the new bits of knowledge to share with my parents. I have vivid memories of my dad emerging excitedly from his room after opening statements that showed that his stocks – the companies he had researched and then selected as good bets to build my parents’ savings – had done well. My dad, who came to the United States from India in his early 30s, was intensely proud of the career he built here – of his participation in the American system – and he loved to discuss and debate all topics about how it does or should work. 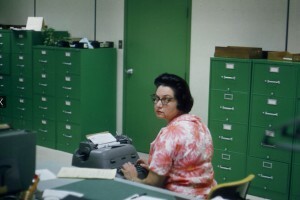 My mom, a devoted environmentalist, was keenly interested in issues related to corporate responsibility. And so, in place of the other topics that hovered in the air at our home, I told my parents what I was learning about the evolution of corporate governance in the United States. I told them about the legal framework that defined the roles of the board of directors, management and shareholders, and how changing norms and practices affected expectations about “shareholder democracy.” I told them about early “gadflies,” and how shareholder proposals targeted segregation of Greyhound buses and apartheid in South Africa. I talked to them about hedge fund activists. About the challenges posed by derivatives trading. About the theoretical roots of supporting a management-centric or shareholder-centric model of governance. About the challenge of really thinking about what “shareholder value” means. It was a conversation in which my dad, historically, would have been an active participant. Instead, my voice prattled without challenge or interruption. After some time, my dad rubbed his eyes and said he needed to rest. My mom, running in so many directions and occupied with doing so many things, decided to do the same. I returned to the small desk in my childhood room to do my work; a heavy sadness having settled over me. A few hours later, as I had re-settled in my laptop and paper-dominated universe, I heard soft steps approach me and felt a hand on my back. I turned to see my dad, his brow furrowed. “But Suneela,” he said, “how do I vote?” I smiled, and we settled in for a new conversation. My dad no longer receives the bulky proxy statements on which he would have marked his preferences for a board slate or a shareholder proposal. My parents’ carefully managed portfolio has long-since shifted to mutual funds and similar investments, and someone else is responsible for exercising the vote that their holdings represent. When I think about corporate governance – when I think about the rules, regulations, pressures and norms that influence how and what decisions at corporations are made – I think about my parents. My parents are no longer “shareholders” in the traditional sense. My dad no longer revels in the fortunes of “his” companies. At the same time, their sense of security and well-being is intimately connected with the stock market and the companies that compose it. When my parents married, my mom was a yoga teacher and my dad had only the orange robes for which he had little use as he decided to leave his life as a monk and start a life with my mom. The savings they have now reflect decades of hard work and careful financial management. They both believe strongly in a world that is managed with integrity, holds the possibility of opportunity for all, and honors and preserves the natural beauty in which they connect with their sense of gratitude – despite the uncertainty that each day can bring. Working on the White Paper with the team at The Conference Board and my colleagues at Cleary exposed me to the thoughtful efforts among a number of attorneys, counsel, business leaders, board members, investors and academics, who make their livings as successful participants in the corporate arena, and also have a strong interest in improving it. They recognize the impact that public companies have on all facets of American life – on financial security, social cohesion, community development, our parks and forests – and they are interested in building a system that flourishes in the context of that impact, not despite it. Their work is a challenge. It requires establishing a common vision and honesty about the challenges and uncertainties in achieving it. It requires time, respect and a willingness to make difficult decisions. It requires thinking about the system as a whole and its consequences and opportunities for the various social segments that contribute to and live at the effect of it. I continue to engage in the corporate governance conversation because I have great hopes that the efforts of these people will achieve results. I have great hopes that the much-touted social entrepreneurship ethos of my generation will be backed by action that naturally builds trust and confidence in America’s business leaders. I believe there is tremendous space for talented business leaders to step up to a platform that recognizes and respects the intentions and the possibilities of our economic system. I know there are many who are eager to give them a lift, and at least two who would get great satisfaction simply from hearing stories about the possibilities revealed from the loftier view. The Supreme Court of the United States today in Halliburton Co. v. Erica P. John Fund upheld the fraud-on-the-market presumption of reliance first recognized by the Court in Basic v. Levinson, but gave defendants a new tool for challenging class certification in fraud-on-the-market cases. The Court held that defendants may introduce evidence of lack of price impact at the class certification stage in order to rebut the presumption of market efficiency. Justice Roberts delivered the opinion of the Court, joined by Justices Kennedy, Ginsburg, Breyer, Sotomayor and Kagan. Justice Thomas filed an opinion concurring in the judgment, in which Justices Scalia and Alito joined. Basic opened the door to securities class action litigation by holding that plaintiffs are entitled to a class-wide presumption of reliance if the securities at issue were traded in an efficient market, and thus the alleged misrepresentations were analyzed by the market and reflected by the market price. In the absence of the presumption of reliance, plaintiffs would be required to demonstrate “eyeball reliance” on each alleged misrepresentation on an investor-by-investor basis, effectively precluding class treatment. The Court today upheld the fraud-on-the-market presumption of reliance, but held that defendants must be afforded an opportunity before class certification to defeat the presumption through evidence that an alleged misrepresentation did not actually affect the market price of the stock. Defendants may seek to defeat the Basic presumption through direct, as well as indirect, price impact evidence. Thus, the Court vacated the Fifth Circuit’s decision that evidence of price impact could not be introduced at the class certification stage and remanded for further proceedings. The decision today gives defendants a potentially powerful new tool for challenging the use of Basic’s presumption of reliance at the class certification stage. And here’s analysis from this Reuters article, as well as the “D&O Diary Blog,” “D&O Discourse Blog” and ProfessorBainbridge.com. State Law: May A Director Resign By Telling Another Director “I Quit”? 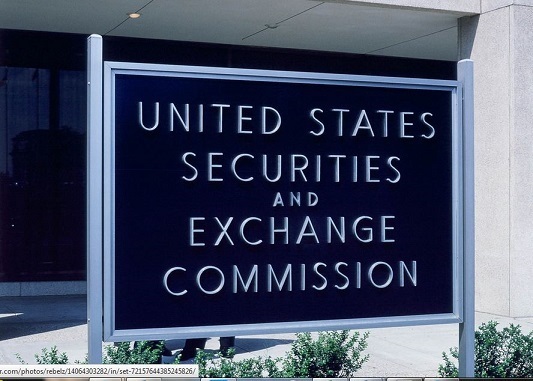 Insider Trading: SEC Sues Congress to Compel Subpoenas! As noted in this WSJ article and NY Times article, the DOJ and SEC have sent subpoenas to Rep. David Camp, Chair of the House Ways & Means Committee, and Congressional Staffer Brian Sutter, regarding whether they tipped traders about a change in health care policy in the wake of a long-running investigation. And on Friday, as noted in this WSJ article, the SEC filed a lawsuit in the Southern District of New York seeking to compel the subpoenas. Possible grand jury to follow. This is fascinating to me for so many reasons, among them: (1) the potential Constitutional cluster we’re about to witness; (2) the real test this poses for the recently passed STOCK Act’s effectiveness; and (3) another example of Mary Jo White’s severe distaste for those who defy Commission subpoenas. “It’s not unheard of for an agency to serve a subpoena to Congress, but for an agency to sue is—if not unprecedented—at least very rare,” said Michael Stern, who was senior counsel to the U.S. House from 1996 to 2004. “It shows that there is a serious conflict; the SEC really wants the information and the House really wants it protected,” he said. Conflict Minerals: Are the Form SDs “Working”? Recently, I blogged that perhaps no one would read all the Form SDs being filed except compliance people like ourselves. But I haven’t focused on how the disclosure in the reports might change corporate behavior – as I’ve been focused on the immaterial nature of them like everyone else in our profession. But as noted by Steve Quinlivan in his blog, a report issued by the “Enough Project” indicates market changes spurred by this Dodd-Frank provision have helped to significantly reduce the involvement of armed groups in eastern Democratic Republic of Congo in the mines of three out of the four conflict minerals. That certainly is good news! In an interview with Reuters, SEC Republican Commissioner Michael Piwowar said he convinced the agency to alter the language in April after he threatened to vote against approving a waiver for the Royal Bank of Scotland Group Plc.The bank had requested the waiver to retain certain regulatory privileges, some of which make it easier for companies to raise capital, after one of its units struck a criminal plea deal in connection with the Libor bench mark interest rate manipulation case. But Piwowar said he feared voting to approve it without first changing the policy language could lead the market to believe the bank was too big to fail. That is because the policy originally called for the SEC to consider a company’s “significance to the markets and its connectedness to other market participants” as a factor when deciding whether to deny a waiver. The SEC quietly made the change he requested on April 24. Score this round for the U.S. Chamber of Commerce. The group representing business interests has won, at least for now, a fight in the Delaware legislature over whether companies can foist their legal bills onto shareholders who sue them and lose. The fight bubbled up after Delaware Supreme Court ruling last month that upheld a fee-shifting bylaw adopted by a private company, ATP Tour Inc. Some corporate lawyers said the ruling might open the door to public companies adopting similar “loser pays” provisions in an effort to deter shareholder litigation, which has skyrocketed in recent years. Such cases are now nearly automatic after the announcement of a merger, and rarely result in substantial gains for shareholders. A section of the state bar quickly crafted legislation to ban companies from adopting such bylaws, and presented the measure to the legislature, which had been set to vote last week. But the Chamber opposed the bill, which it said “takes away a new tool … [that] businesses could use to reduce the amount of unnecessary litigation that accompanies corporate mergers,” according to a letter sent to Mr. Townsend June 5 and reviewed by The Wall Street Journal. Others joined the fray. Dole Foods Co. also sent a letter to Mr. Townsend, the News Journal has reported. And more quietly, E. I. du Pont Nemours & Co., one of Delaware’s biggest and most influential companies, has quietly lobbied against the legislation, according to people familiar with its efforts. A DuPont spokesman confirmed that the company opposes the bill, but declined to comment further. DuPont’s intervention likely carried considerable weight in Delaware, where it was founded in 1802 as a gunpowder maker along the banks of the Brandywine Creek. It is the only Fortune 250 company based in the state, despite the dozens that claim it as their legal home, and its name is plastered around Wilmington, where its headquarters take up an entire city block. XBRL Filings: 8-12% Contain Errors! Calcbench, a technology firm promoting XBRL, says 8 to 12 percent of all filings provide the wrong scale for a number – such as reporting a number as 15 when the correct figure is 15,000. That mistake was most common in the fourth quarter of 2012, when one in eight filings contained a scaling problem, the firm says. Scaling most often occurs in tags associated with shares, but “a non-trivial number of errors” also occur in areas that are watched closely by analysts and investors, like revenue, net income, and assets. “Errors in these accounts may cause potentially wrong investment recommendations and decisions which may lead to increased liability by filing firms,” the report says. That makes them a high priority for correction, according to Calcbench. Even more common, says the report, are sign switches, a problem in 40 to 60 percent of filings over the period analyzed by the firm. Sign switches are not as right or wrong as scaling errors, the firm says, but they can be confusing. As an example, cost of goods sold might be presented as a negative number that is added to revenue, or as a positive number that is subtracted from revenue. The analysis also finds a correlation between the presence of sign switches and the average number of tags in a filing. “The more tags you use, the more likely you are to have a sign switch,” the report says. U.S. companies will need to comply with a new converged revenue recognition standard that the FASB and the International Accounting Standards Board (IASB) issued on May 28. The converged standard—which applies to fiscal years beginning after December 15, 2016—eliminates many existing industry and other accounting guidance related to revenue recognition for U.S. companies and provides the first comprehensive requirements in International Financial Reporting Standards. – bonus and incentive plans and other compensation arrangements need to be revised. – Discounts, credits, price concessions, returns, and performance bonuses/penalties that may be considered to be variable consideration. Variable consideration may only be included in the transaction price to the extent that it is “probable” that the variable consideration will not be reversed. – Any significant financing component in the contract that results from the timing of the customer’s payment differing by more than a year from the transfer date of the promised goods or services to the customer, in which case the transaction price should be adjusted for the time value of money. – Any noncash consideration being paid by the customer. – Any consideration payable to the customer, such as vouchers and coupons. – The timing of when the entity’s customer obtains control of a good or service because—unless an entity transfers control of a good or service over time, requiring the recognition of revenue over time—the entity is considered to satisfy the performance obligation at a point in time. A significant requirement in the new revenue recognition standard is the principles-based disclosure requirement, which is intended to enable users to understand the nature, amount, timing, and uncertainty of revenue and cash flows arising from such contracts. This will likely result in robust, qualitative, and quantitative information about contracts on a disaggregated basis for appropriate categories of customers, such as the categories that companies use in their investor presentations, about related revenues, the allocation of the transaction price to performance obligations and significant judgments, and changes in judgments made in applying the new standard to contracts. Mark Zuckerberg and other members of Facebook Inc’s board have been sued by a shareholder who claimed a policy letting them annually award directors more than $150 million of stock each if they choose is unreasonably generous. In a complaint filed on Friday night in Delaware Chancery Court, Ernesto Espinoza said the board was “essentially free to grant itself whatever amount of compensation it chooses” under the social media company’s 2012 equity incentive plan, which also covers employees, officers and consultants. He said the plan annually caps total awards at 25 million shares and individual awards at 2.5 million, and in theory lets the board annually award directors $156 million in stock each, based on Friday’s closing price of $62.50. The lawsuit does not contend that such large sums will be awarded. Espinoza also said last year’s average $461,000 payout to non-employee directors was too high, being 43 percent larger than typical payouts at “peer” companies such as Amazon.com Inc and Walt Disney Co that on average generated twice as much revenue and three times more profit. Facebook spokeswoman Genevieve Grdina said in an email: “The lawsuit is without merit and we will defend ourselves vigorously.” A spokeswoman for Robbins Arroyo, a law firm representing the plaintiff, had no immediate comment. The lawsuit alleges breach of fiduciary duty, waste of corporate assets and unjust enrichment. It seeks to force directors to repay Facebook for alleged damages sustained by the Menlo Park, California-based company, and to impose “meaningful limits” subject to shareholder approval about how much stock the board can award itself. Among the other defendants is Facebook Chief Operating Officer Sheryl Sandberg, a director whose compensation was $16.15 million in 2013, according to a regulatory filing. She is worth $999 million, Forbes magazine said on Monday. Zuckerberg made $653,165 last year, a regulatory filing shows, and Forbes said his net worth is $27.7 billion. Espinoza was also a plaintiff in a 2010 shareholder case in Delaware against Hewlett-Packard Co concerning its handling of the resignation of Chief Executive Mark Hurd over his relationship with a former contractor. The case is Espinoza v. Zuckerberg et al, Delaware Chancery Court, No. 9745. SEC to Bring More Insider Trading Cases in Administrative Proceedings? The SEC’s biggest problem in bringing its first whistleblower retaliation case – a settled administrative action against Paradigm Capital Management – may be the lack of statutory authority to do so under Dodd-Frank. The SEC’s track record in this area is already blemished. Dodd-Frank unambiguously defined “whistleblower” to mean people who provide information to the SEC. However, the SEC promulgated regulations that purported to expand the definition of “whistleblower” to include any individual who has reported information which could lead to prosecution by the SEC for violations of US securities laws, even if the individual does not report that information directly to the SEC. Under this expansive SEC regulation, a “whistleblower” would include an individual who only made an internal complaint to his or her company, but did not report the alleged conduct to the SEC. A recent opinion by the federal Fifth Circuit Court of Appeals rejected the SEC’s “expansive interpretation of the term ‘whistleblower’ for purposes of the whistleblower protection,” denying retaliation protection to an employee who did not report alleged misconduct to the SEC and was demoted, then fired, for complaining to managers and a corporate ombudsman that the company was engaged in questionable lobbying efforts with an official in the Iraqi government. The SEC’s self-granted authority to bring its own anti-retaliation action suffers from the same impermissibly “expansive interpretation” of Dodd-Frank. As with the SEC’s attempt to redefine “whistleblower,” the SEC’s first attempts to exercise its self-granted authority to pursue an anti-retaliation claim will eventually be challenged in courts. We have launched a new “Job Board” that can help you land a job – or find candidates for a job opening (the first job opening is already posted!). You don’t need to be a member to participate – nor does it cost anything to post a job opportunity or search for a new job. Every aspect of it is entirely free. Tell your recruiter friends so they can post jobs. If you’re not a member, you do need to “register” for the job board (we require that so the folks on the other end of a job transaction can reach you). Check it out! Certain state securities regulators have used actual “fighting words” and have made potentially-criminal threats including threats of violence or a civil war in planned retaliation if the Commission includes any preemption language in its final Rule for Regulation A+.